Military Flashlight - Compass, Strobe Light, Morse Code! » Military Flashlight - Compass, Strobe Light, Morse Code! More than a FlashLigh! 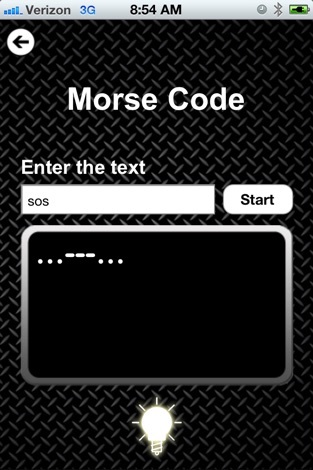 This must have app includes Compass, Compass and ability to send morse code signals, including SOS and other signals! Please Note: You must push the power button in the app for the light to turn on! We are coming with a fix for light to turn automatically when app launches. This is the quickest flashlight app on the App Store! It turns on immediately when the app is opened! But wait, there's more! 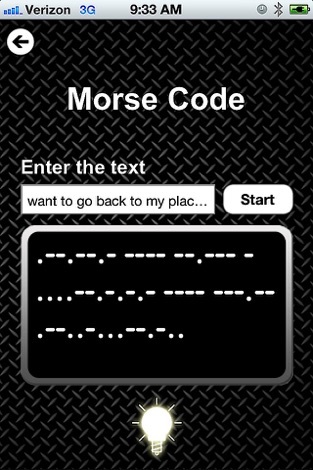 Included is a text to flash Morse code translator! NOTE: Continued use of LED flash may dramatically reduce battery life. Download Military Flashlight - Compass, Strobe Light, Morse Code!